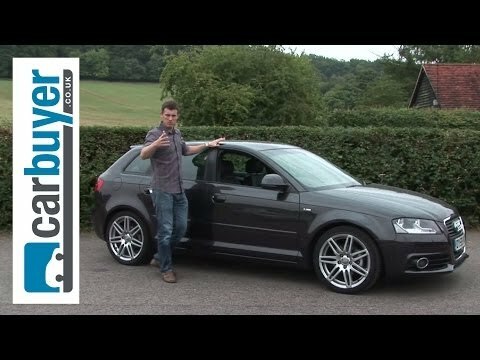 If you enjoy the comfort and composure typical of a European sport sedan, but also demand some degree of versatility, the A3 is hard to fault. And while VW's GTI rides on the same platform - and has a similar level of detailing inside - the Audi delivers a level of maturity its corporate sibling can't match. Reliable, fast, fun to drive and nice equipment. Definitely recommend. Personally I believe that Audi is a very credible manufacturer. The specific car has the perfect specs for an city car. Fast enough, comfortable and a nice entertainment system. Their service is a little expensive since I do it at the official dealership but I don't really mind it because it helps the car work properly. It is a luxury car and you cannot drive it in the snow. I have leather interior. The paint is black and chrome trimming. I have my windows tinted to the darkest you can have them. Pretty much blacked out. It is fully loaded with heated seats a sunroof and it connects to Bluetooth with my cell phone. I find it to be very comfortable. It rides smoothly with no issues. It's reliable. We haven't had any problems with it. I love our vehicle. We've never owned an Audi and are very happy with this purchase. It's stylish and has great gas mileage. The only thing I dislike a little bit, is it can be difficult to get out of but I think that's due to my age.